A formal New York wedding. Custom gate fold with metallic gold foil and letterpress. 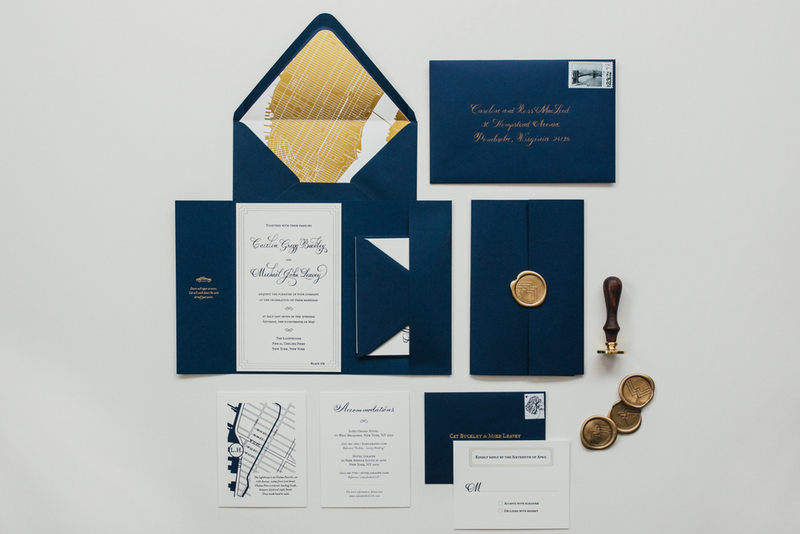 A custom gilded Manhattan map envelope liner and wax seals.